Launched in November of 2010, Path has grown to include over one million people sharing life with close friends and family all over the world. The company is headquartered in downtown San Francisco. 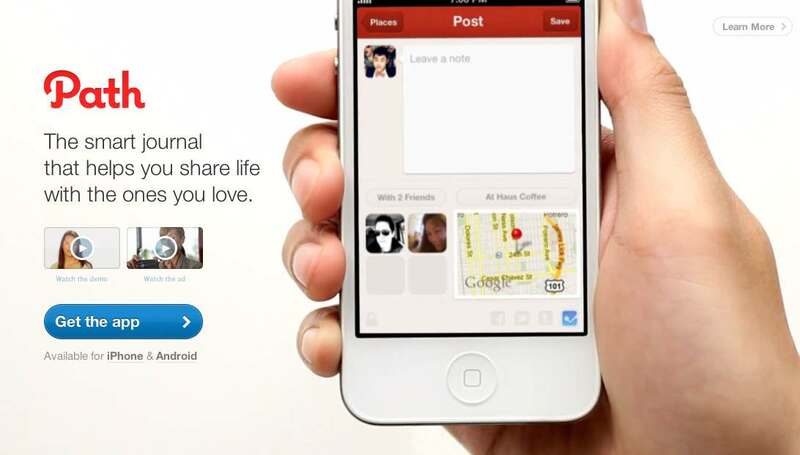 Path is a small social network that’s been around since November 2010. Originally the idea was to limit users’ networks to no more than 50 people. Everyone basically ignored it. But then it opened up the gates a bit this past November, allowing people to add up to 150 friends. It also rolled out a new interface. And suddenly it caught fire. But the key wasn’t that it expanded to let you include more people. It was, conversely, that it’s new design became more intimate. Path is the interface of intimacy.